Type 2 Volkswagen from Brazil! On sale soon in the UK! The Carat is built in the Sao Paulo factory, and has rationalised the 'loaf' front and 'split' rear end that has been produced there for some years. Beetles UK currently import the Mexican Classic Beetle, and are now taking orders for the Carat. 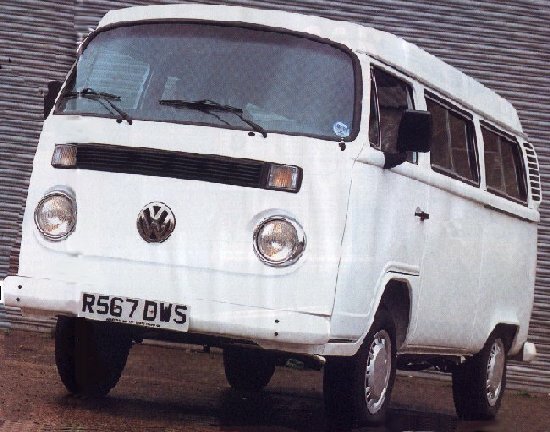 Obtainable as a 7-seater (£13,250) or a panel van (£9,995 + VAT), Beetles UK hope to organise a camper conversion too (about £16,000). The engine selected is the 1600 multi-point fuel injected catalytic air-cooled motor fitted to the Beetle, to satisfy the emission requirements for some years ahead. The Bus will have classic performance to go with its classic lines! 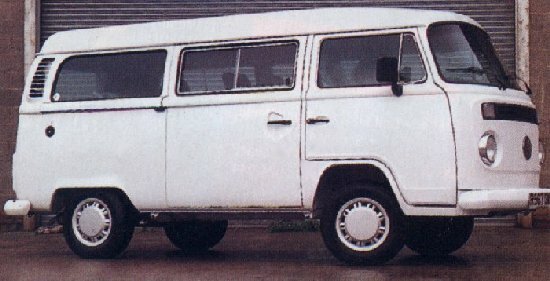 Being made for South America, it is left-hand drive, with the sliding door on the right. 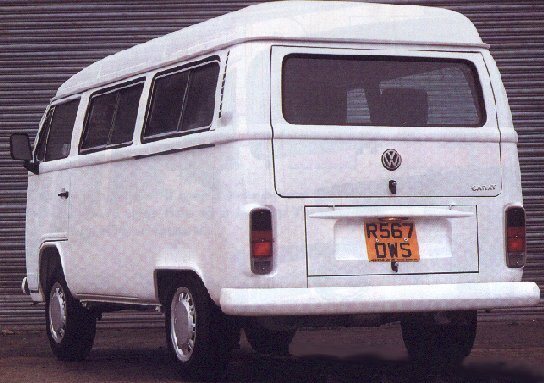 It is likely to be converted to right-hand drive for the UK market at extra cost, but not the sliding door side (a pity they aren't making a double sliding door model). Beetles UK do a good job of the Mexican Beetle RHD conversion. For the full 3-page article and other photos, look out for the magazine in your newsagent, or contact VW Motoring back numbers at +44 (0)1778 391155, or subscriptions dept at +44 (0)1778 391124. Europe and Eire £44 (£52 airmail); Worldwide £52 surface, £78 airmail). Warners, West St, Bourne, Lincs. PE10 9PH, UK.